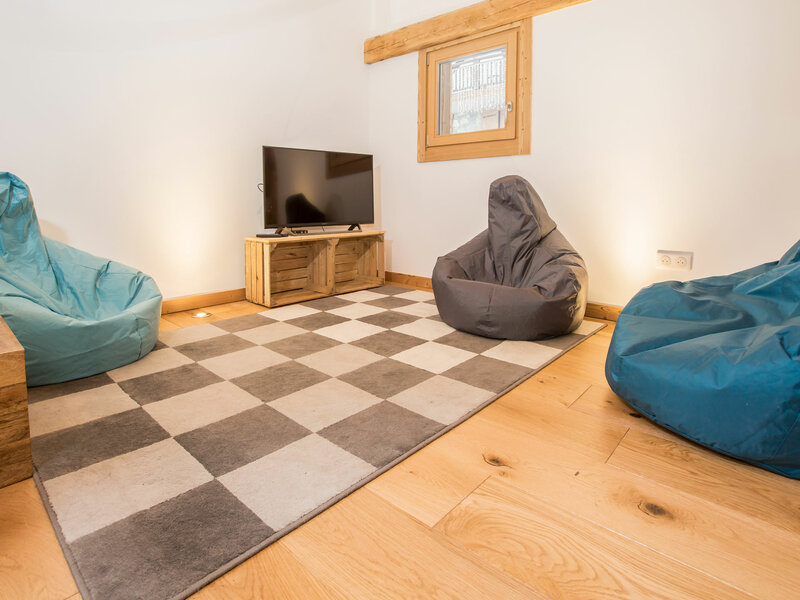 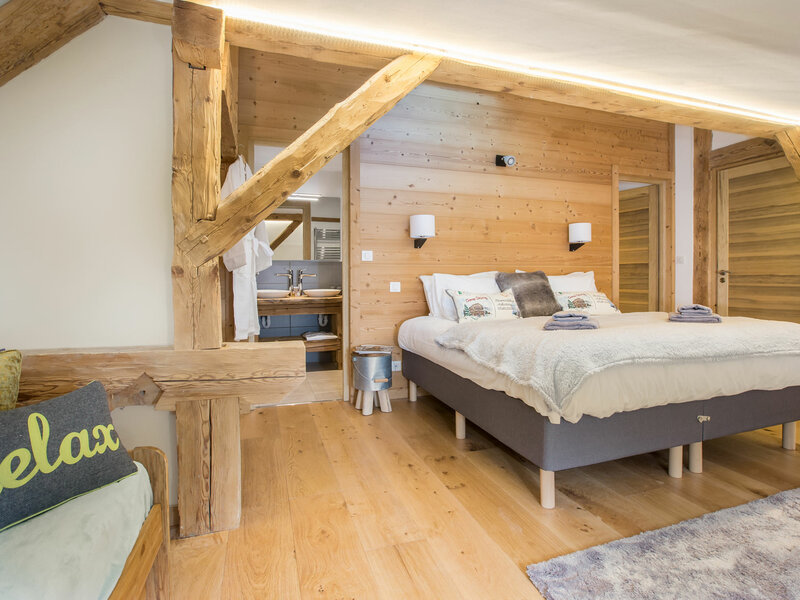 There are 5 large bedrooms, all of which can be either kingsize doubles or twins, with the top floor bedroom also having 2 further beds, to make it a quad suitable for a family. 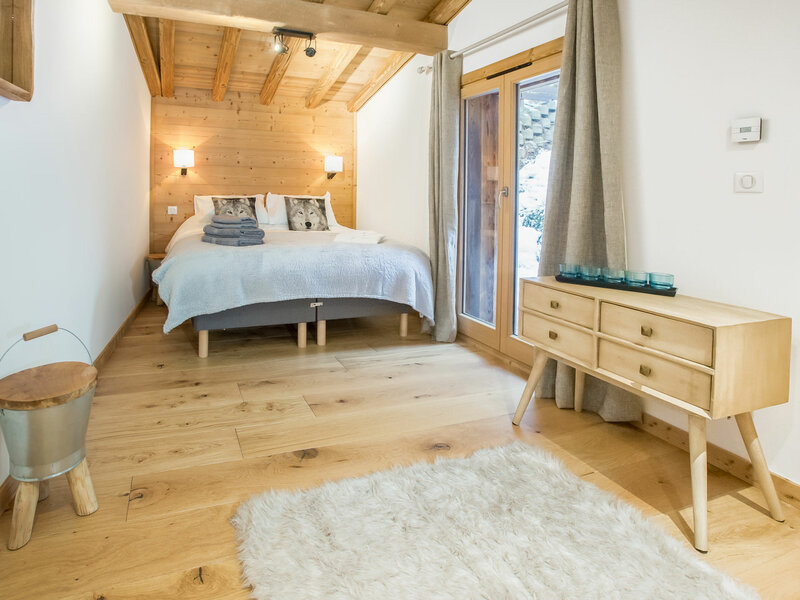 The bedrooms are spread throughout the property with 3 being on the ground floor, one on the 1st floor and the family room on the 2nd floor. 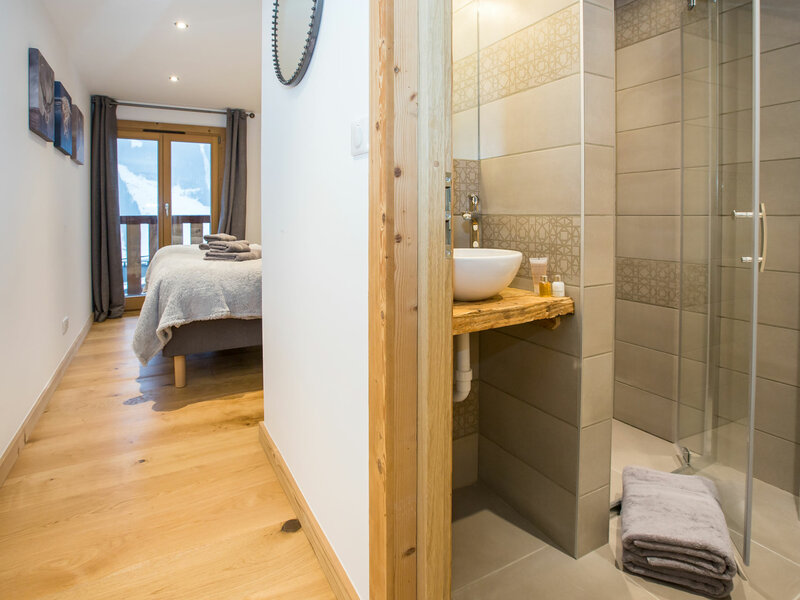 Each bedroom has access to a balcony, contemporary en-suite bathroom with either walk in showers or bath/shower. 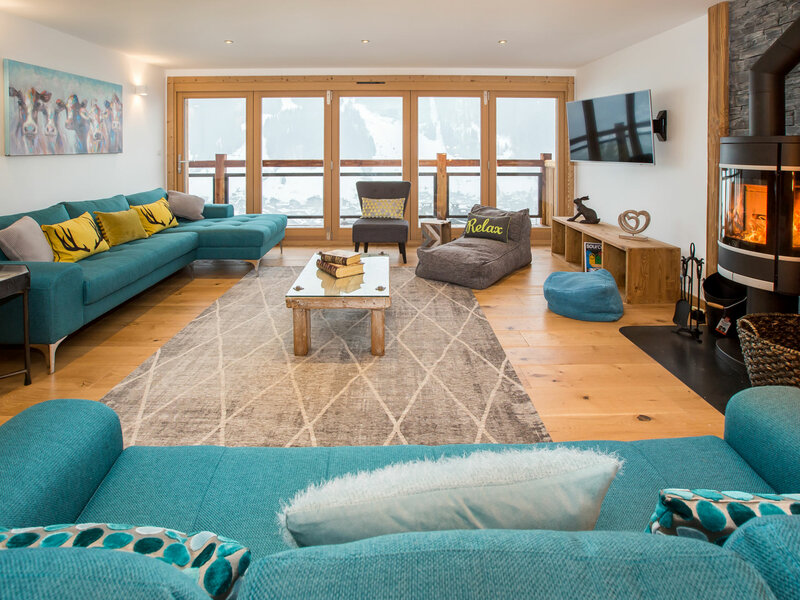 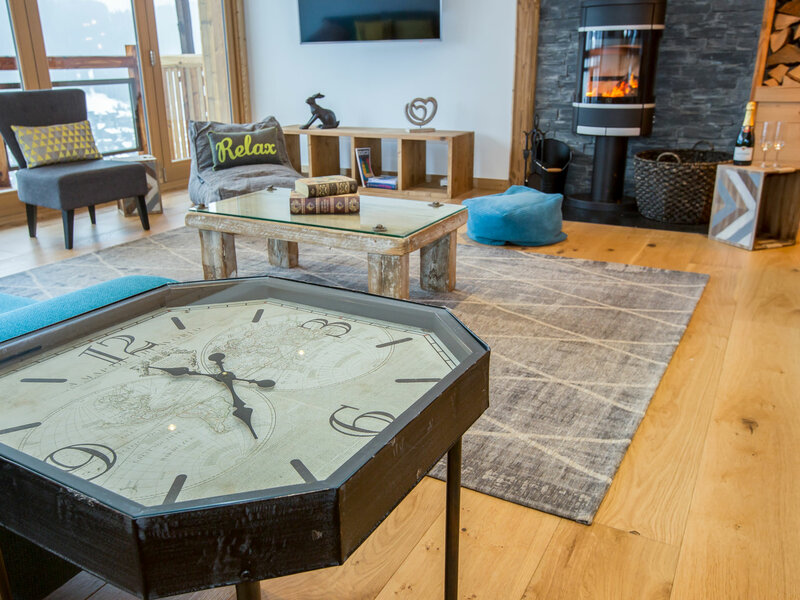 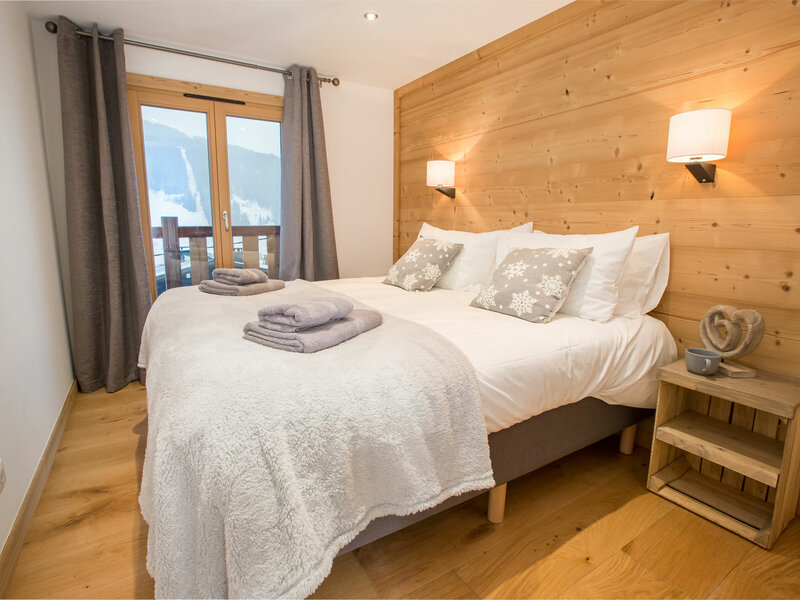 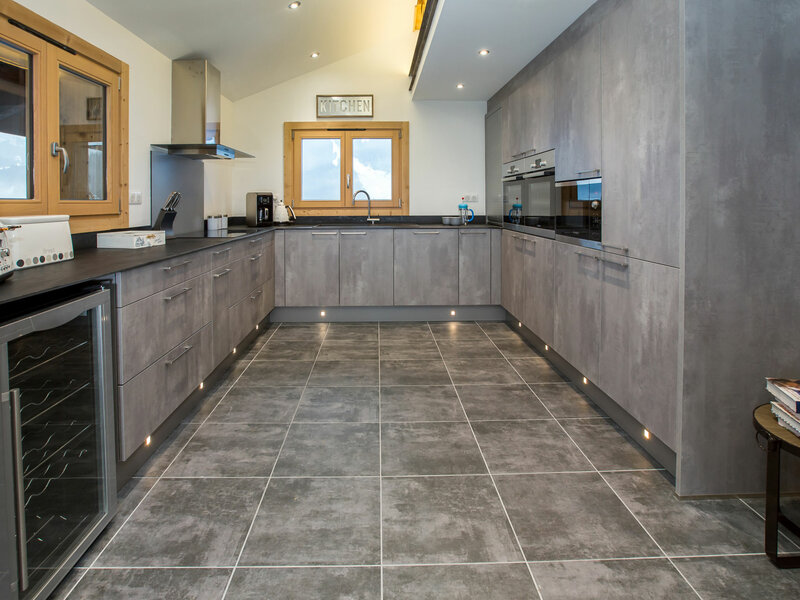 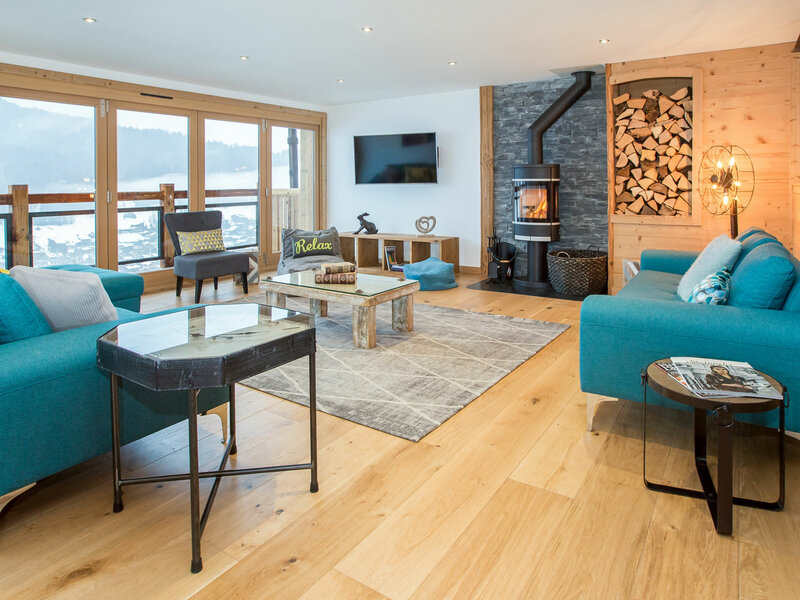 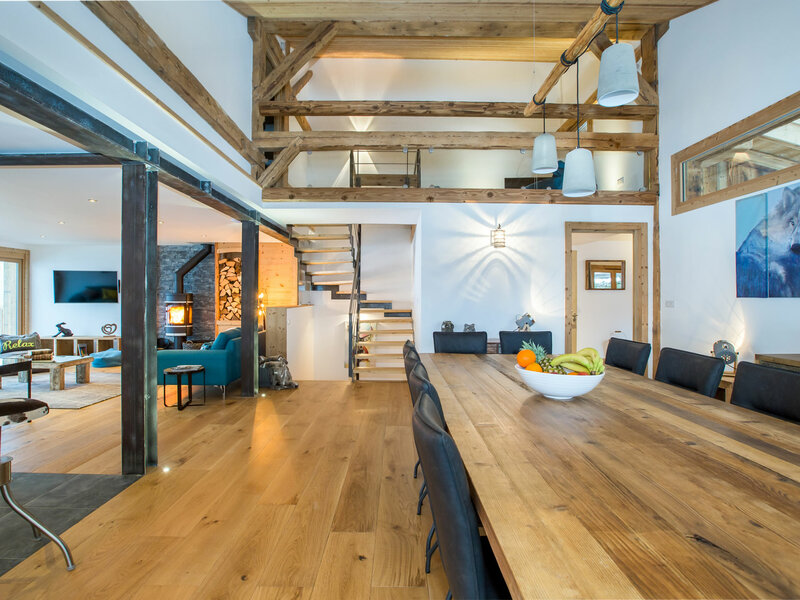 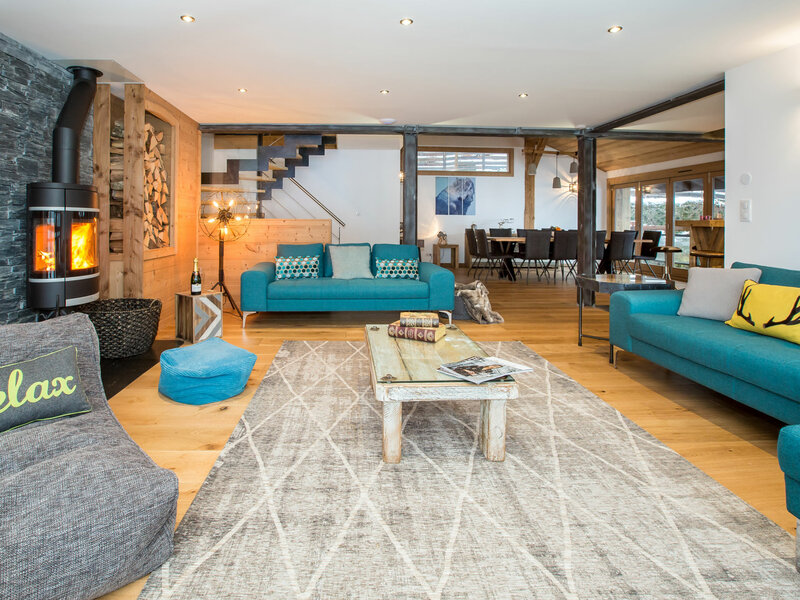 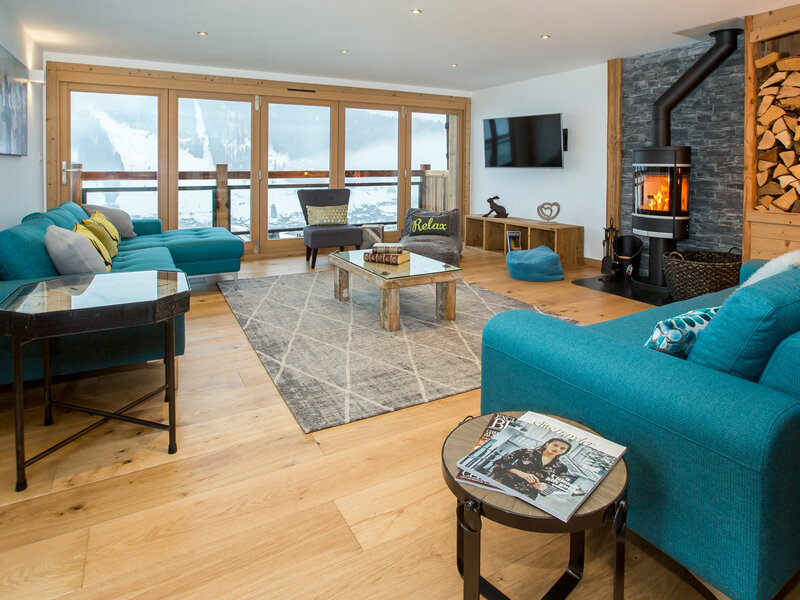 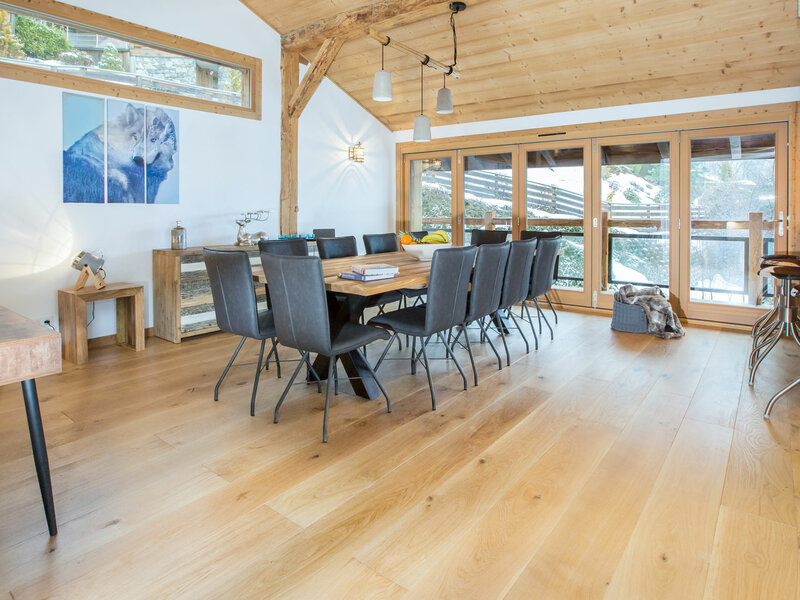 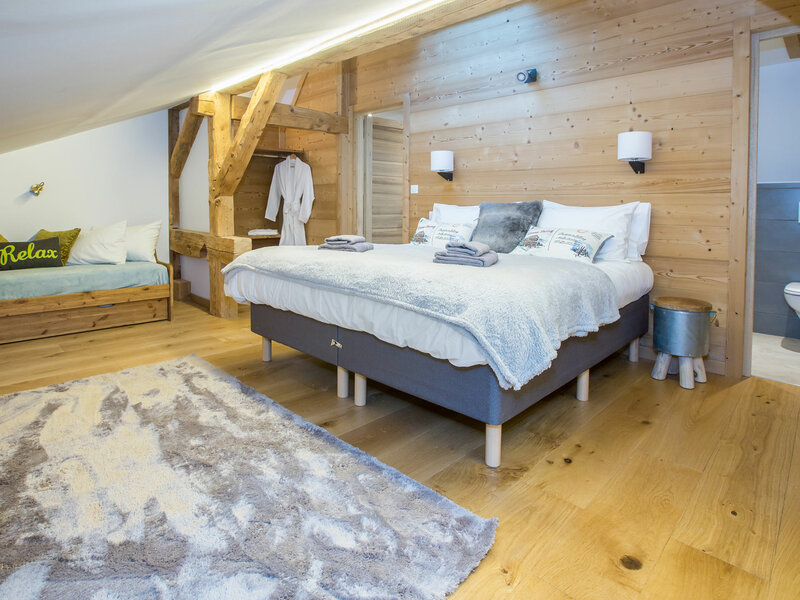 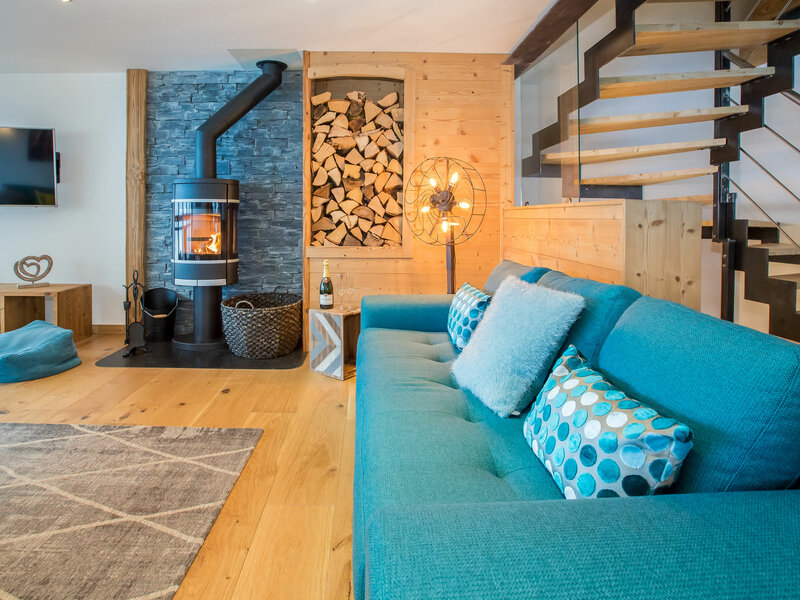 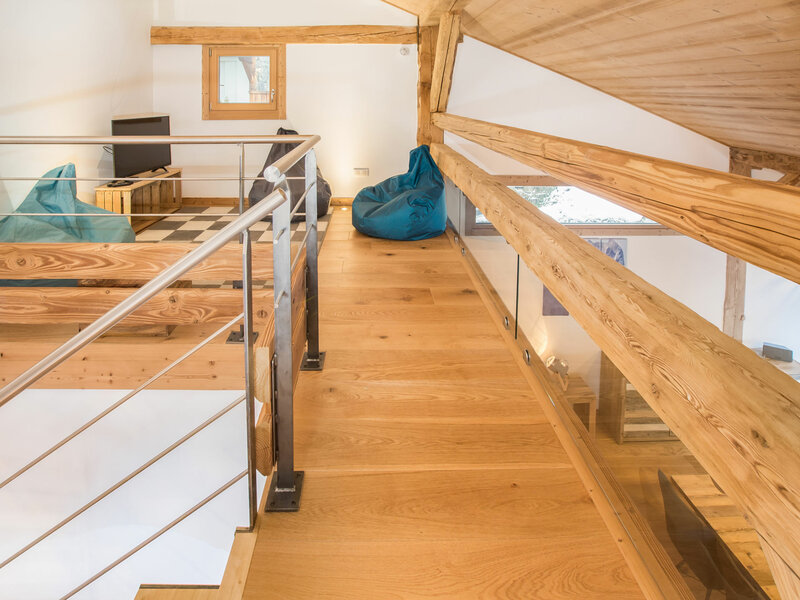 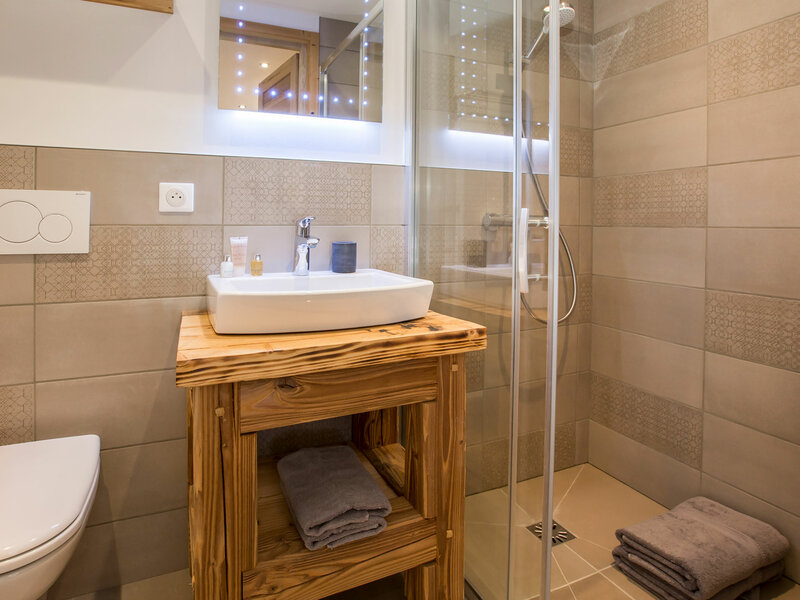 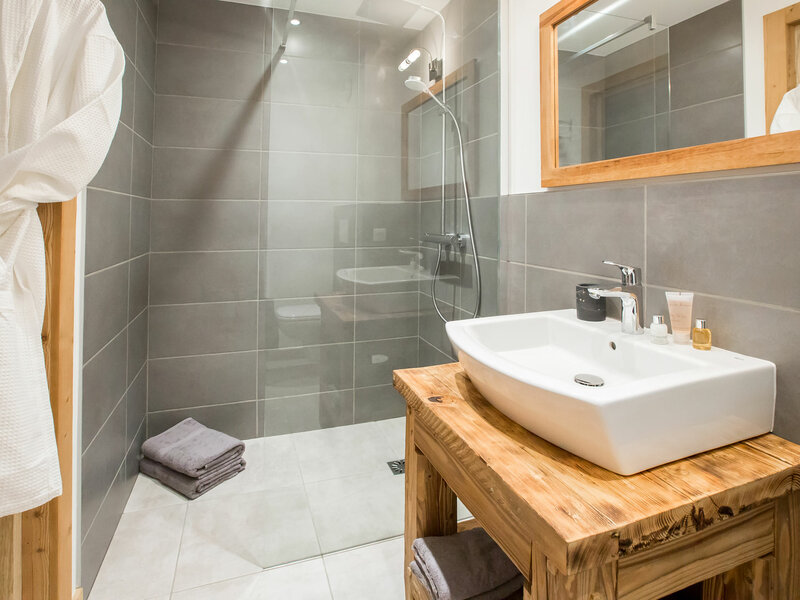 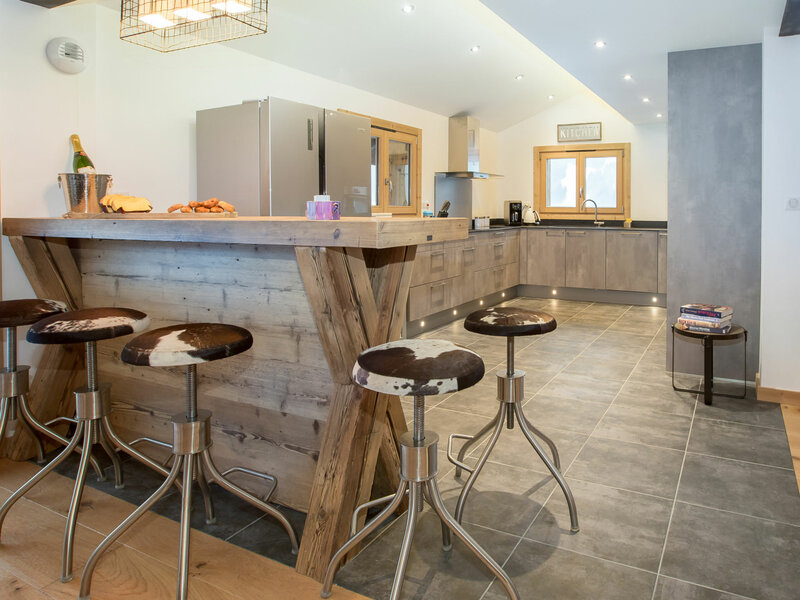 The outside balconies allow access to the hot tub, which must have one of the best views in Morzine – ideal for watching the weekly fireworks and torchlight descent. 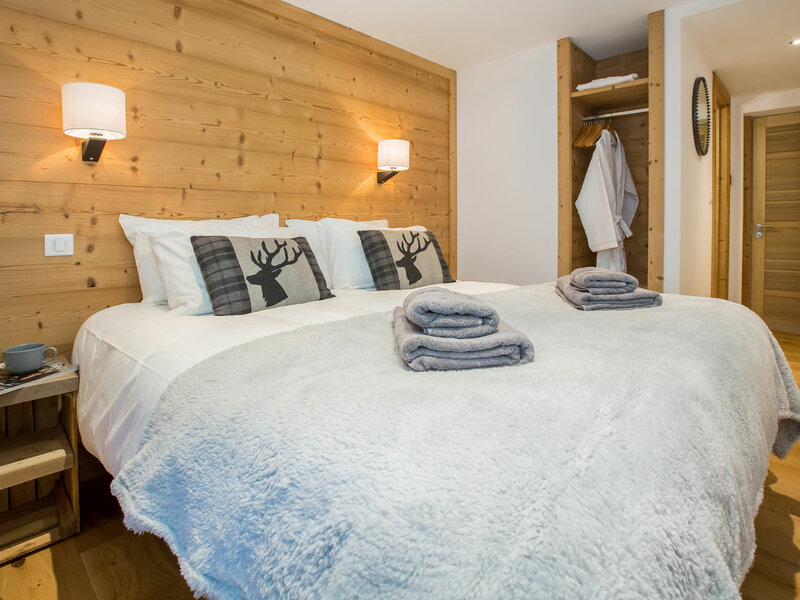 The Prodains Express telecabine means you can be on the Avoriaz slopes in less than 10 mins after leaving the chalet.